This is highly technical complex latent print work responsible for the examination, analysis and identification of latent prints collected at crime and accident scenes throughout Anne Arundel County. Employees in this class function at the intermediate (I) expert (II) levels identifying latent. At the Latent Print Examiner II level, employees are required to be court qualified and recognized as an expert Latent Print Examiner who represents the County by providing testimony in courts of law verifying the identification of latent fingerprints. Work is performed under general supervision at the Latent Print Examiner I level and independently at the Latent Print Examiner (II) level within established policies, procedures and technical guidelines. Work products are subject to review by the Evidence Collection/ID Supervisor upon completion for accuracy. Employees in this class perform their work in an office environment but may occasionally be required to visit a crime, accident or other scene to retrieve latent fingerprints or other fingerprint evidence. Employees in this class may work overtime and be subject to call back status on an as needed basis. Examines latent prints collected by evidence collection staff members and reviews incoming reports to verify correctness of latent print information. Compares latent prints to known inked prints or utilizes the Maryland Automated Fingerprint Identification System (M.A.F.I.S.) for possible suspect identification. Follows established procedures to maintain chain of custody for physical evidence. Prepares for and testifies in court proceedings as an expert in latent print analysis. Prepares charts and other aids for court presentations, confers with State's Attorney, and testifies in court. Initiates, prepares, reviews or evaluates records and reports to inform detectives and officers of the status of examination. Documents through reports and statistical information through the use of the Maryland Automated Fingerprint Identification system (M.A.F.I.S.). Works with chemicals to develop latent prints. 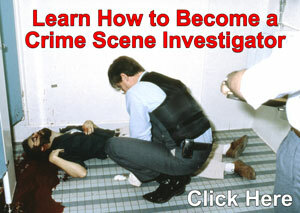 With training and protective equipment processes blood and other body fluids from crime scene and physical evidence. Knowledge of County and departmental procedures related to assigned duties. Knowledge in the operation of automated fingerprint identification system. Knowledge in the rules of evidence and case law as it relates to latent print identification. Knowledge of fingerprint classification and identification methods. Skill in the presentation of testimony and in the use of visual aides to assist with prosecution at the (II) level and learns to present testimony and use visual aides at the (I) level. Skill in the development of latent prints and in the visual identification of prints. Ability to work from fingerprint and related files. Ability to prepare accurate records and reports. Ability to establish and maintain effective working relationships with supervisors and other employees. Ability to operate a computer terminal at the (I) level and proficiency at the two (II) level in this class series. 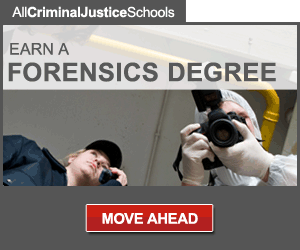 An associate's degree or 60 college credits in law enforcement, mathematics, biology, chemistry, criminalistics, physics, or a related field from an accredited college or university; formal training or courses in fingerprint classification and identification through completion of the FBI Basic Fingerprint School or an equivalent recognized fingerprint training program; two (2) or more years of experience in latent print identification, including court qualification as an expert witness; and a valid non-commercial Class C motor vehicle operator's license. NOTE: The associate's degree or 60 college credits can be substituted with completion of advanced technical level coursework equivalent to the F.B.I. Latent Print training program and an additional two years of experience involving latent fingerprint classification and identification for a total of four (4) years. The selection process includes a comprehensive background investigation. Positions in this classification are designated safety sensitive and are therefore, subject to random alcohol and controlled dangerous substance testing.